In Kenya there is a school called Birunda School for the Hearing Impaired who we are in touch with. 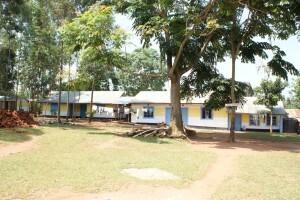 The school is near to the town of Kitale in Western Kenya. The school is located next to a main primary school that has over 1600 pupils. We are mainly working with the hearing impaired and deaf children but we hope to be able to help a little in the other school. In 2008 when Mr Dean first went to Birunda the school for the hearing impaired was made of nothing but tin sheets and wood. Imagine that! Wouldn’t it be cold and not very nice? 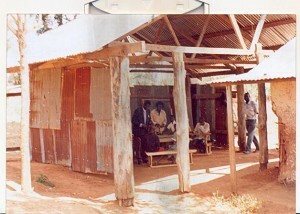 Photo from May 2008 showing the classroom/school as Mr Dean found it. But don’t worry since then it has had a magnificent transformation and grown from 3 to 43 pupils! 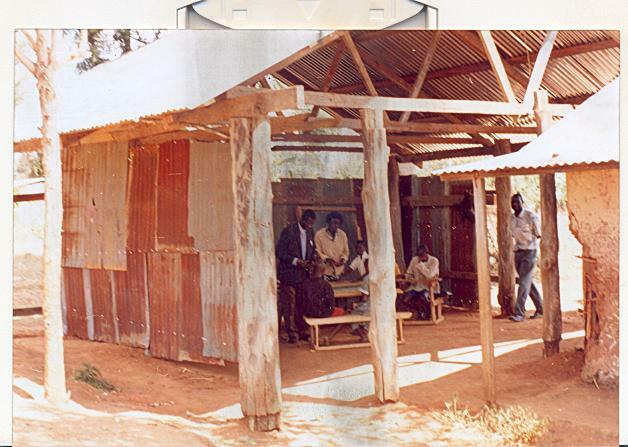 The buildings have also changed and now the school can boast 7 classrooms, 2 dormitories, washrooms/toilets, office, kitchen and dining room! On top of this there is also an amazing small farm where the children learn to grow crops and look after animals. It is really a great place to learn. 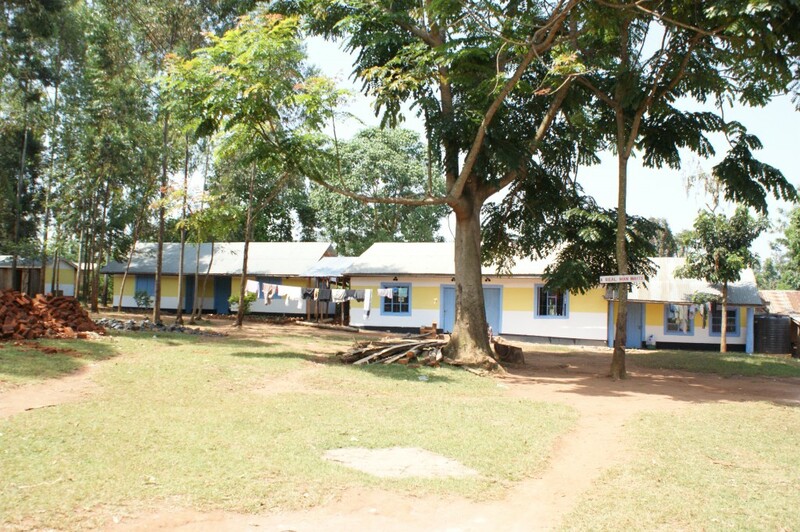 Photo from July 2014 of the school newly plastered and painted. What a difference! If Mr Dean and the head teacher of the school, Mr Sylvester Munjalu, didn’t build the school then the children would still be at home without an education. Here at Gillamoor C.E Primary School, we are raising money for Birunda. 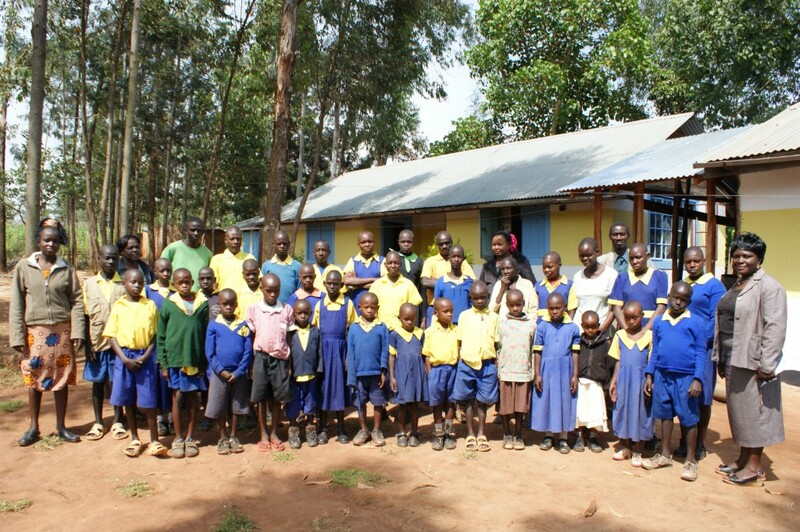 We are raising money for books and a new boys dormitory. All of the pupils board at school and they have run out of space. As part of World Book Day we are dressing up as our favourite character and sharing our best books. We are each bringing in £1 to do this and the money will go to buy books at the school. We are also going to be face painting/mask making as part of Comic Relief with any money raised going to the fund to build the new dormitory. Finally we are going to try and organise another one or two events to raise extra money! It will all go directly to the school in the summer. by Hannah F, Hannah N and Ed. Photo from July 2014 with all the pupils at the time. At our school we have been in contact with the teachers and pupils at Birunda. We have text, emailed and wrote to them. Many of us wrote a penpal letter to the school and received replies. Mr Dean keeps us regularly up to date with what is happening at the school and tells us stories about some of the pupils. He has also showed us videos and pictures. We hope to be able to talk to the head teacher soon. If you would like to know more visit www.kitalerafiki.com or ask Mr Dean! Well done Mr Dean, the Sempers family think you have earned yourself a brick! I had a pen pal who used to go here could you tell me if he still does go here or still live near here, his last name is Wanyonyi, his full name is Intergrity, J, Wanyonyi. Thank you.